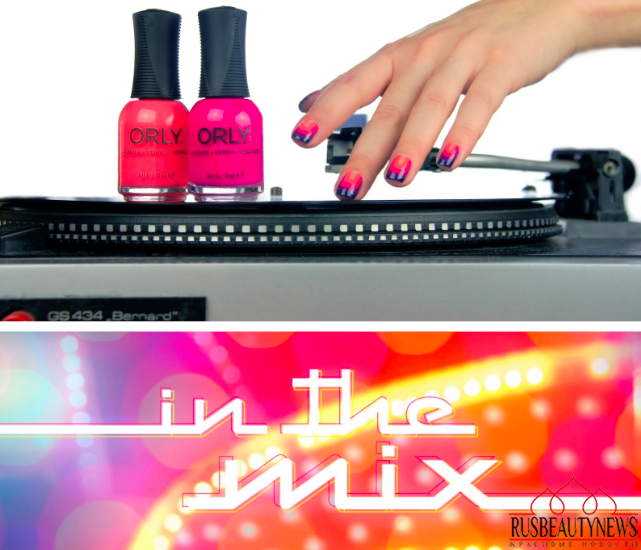 Тhis fall collection celebrates the eclectic mix of cultures, styles and lives in the Los Angeles area, along with the universal language of music that unites them. 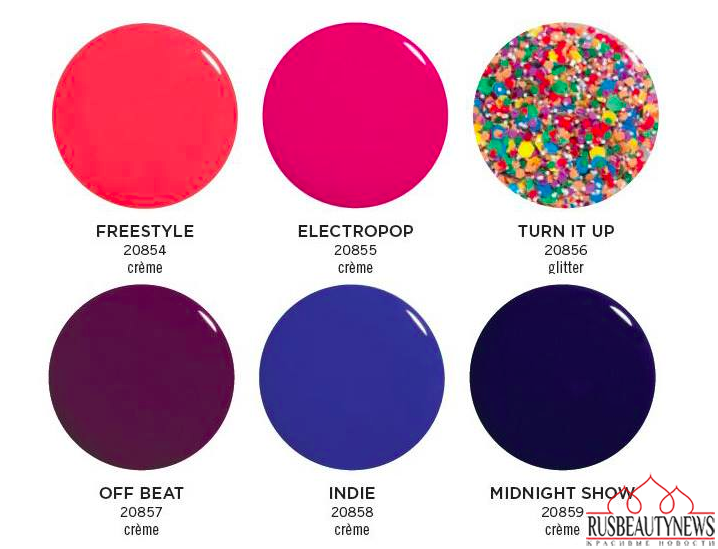 Freestyle is a coral crème, Electropop is a fuchsia crème, Turn It Up is a multi-color mosaic glitter, Off Beat is a bright plum crème, Indie is a Quaker blue crème and Midnight Show is a deep navy crème. 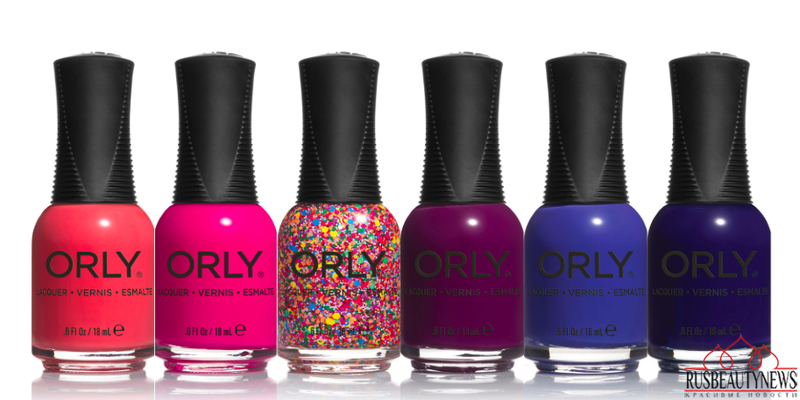 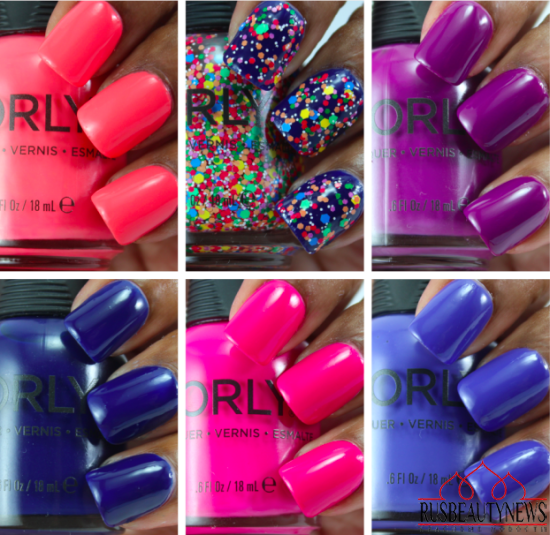 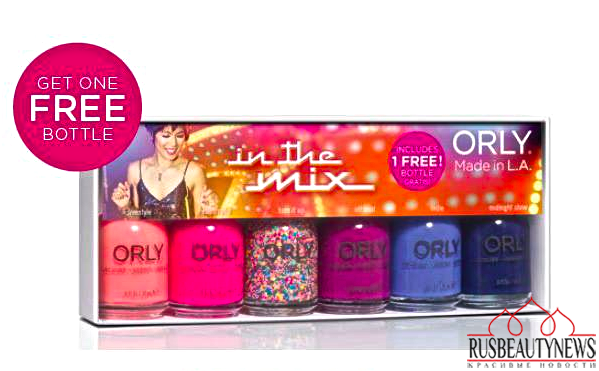 Осенняя коллекция лаков Orly In the Mix Fall 2015 Collection посвящена яркому и солнечному Лос-Анжелесу и его окрестностям.